New advanced DuraCord® rope - The look, softness, and feel of cotton, but without the maintenance and care. Since 1889, accept no imitations. 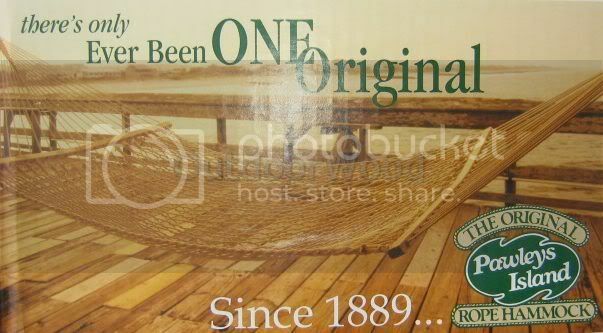 Buy The Original Brand Pawleys Island Rope Hammock. 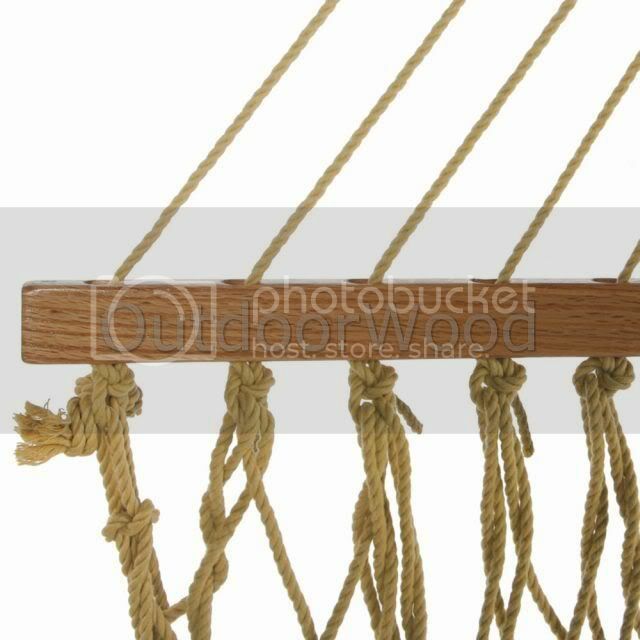 Try the NEW TAN DURACORD® HAMMOCK. The Most Durable & Fade-Resistant Rope Available Today! Handwoven of solution-dyed DuraCord® 3-ply rope, polished white-oak spreaders and zinc-plated hanging hardware. Large Size Accommodates 2 people. Bed size is 55" Wide x 82" Long. Total overall length is 13ft. Weight capacity 450 lbs. NEW IN BOX. 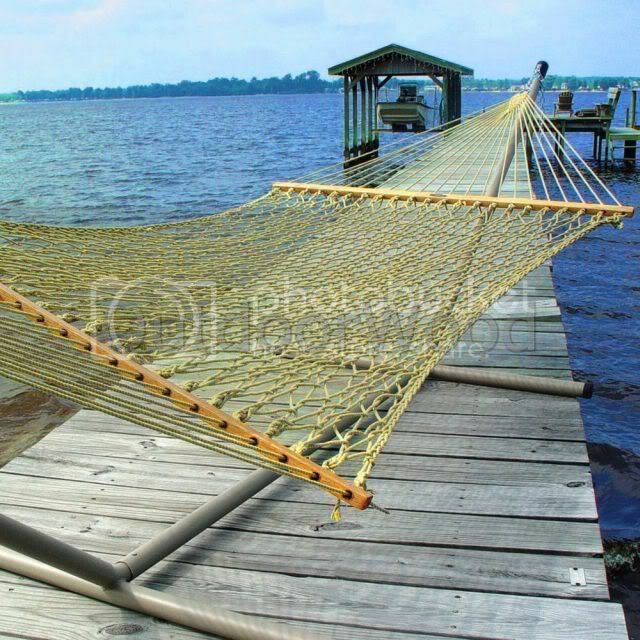 Hammock & hardware only, stand not included. We have inventory in our South Carolina warehouse. Buyer pays shipping: We ship daily Mon-Fri, excluding holidays from West Columbia, SC. Payment: MC, VISA, DISCOVER, AMERICAN EXPRESS accepted via Paypal. Quick pay = Quick Shipping!